Our South Island guided tours are the very best way to experience New Zealand’s beautiful South Island! Choose the length of tour you would prefer, or ask us for a different length. Our South Island guided tours are fully customisable, so if you want to add or change any details, we will make it happen! Why choose a New Zealand South Island tour? It is hard to believe how much variety is packed into the South Island. Here you will find dramatic, awe-inspiring landscapes of every type. From dizzying mountains and vertical fiords to pounding waterfalls, turquoise lakes, golden-sand beaches, and over 3,000 glaciers, everything on the South Island is majestic in scale. You will be grateful for your driver chauffeuring you around, because you won’t be able to stop staring at the fantastic views! The entire island is filled with unexpected highlights, and often the drives themselves are just as spectacular as the planned stops. Be prepared to take thousands of photos! Arthur’s Pass, the Mackenzie Basin, the Milford Road, the Catlins Coast, Haast Pass…these are only a few of the unforgettable scenic drives that you will encounter on your journey. Some of the most memorable highlights on the South Island are tricky to find, as they are not included in any tour books or planned excursions. Your guide will know about all of these, from scenic walks and hidden waterfalls to impressive caves and secluded beaches. You will also stop at the best spots for viewing wildlife (including seals, kea parrots, and – if you’re lucky – penguins and dolphins), and the most impressive lookouts. Along the way, your guide will also take you to visit a number of superb restaurants and wineries, many of which remain relatively unknown. Simply put, our South Island guided tours elevate your experience to a completely new level! It’s no secret that roads can be narrow and tricky on the South Island – what a relief to leave that part to your driver. You just need to sit back, relax, and enjoy the scenery. There are other opportunities for relaxing as well, from leisurely wine tours to indulgent spa treatments. Upgrade your accommodation to a luxury room for a special treat in one location, or book a massage and let your stresses melt away. Queenstown has a reputation as the adventure capital of New Zealand (possibly even the world) for a reason! 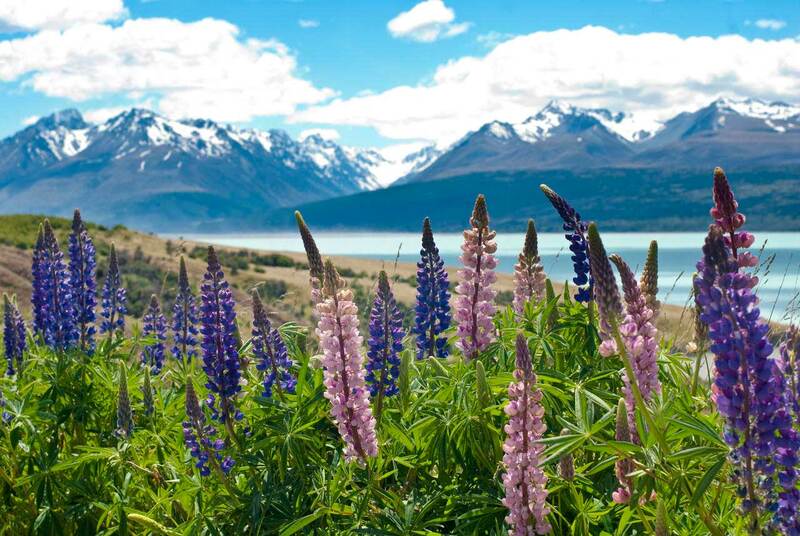 And you don’t have to be a fan of bungy jumping or skydiving to enjoy the variety that the South Island has on offer. Adventurers will want to sample the jet-boating, rafting, heli hiking, kayaking, canyoning, and hiking opportunities that are found throughout the South Island. For those who prefer to soak in the scenery, a cruise on one of the famous fiords – Milford Sound or Doubtful Sound – is an unforgettable experience. 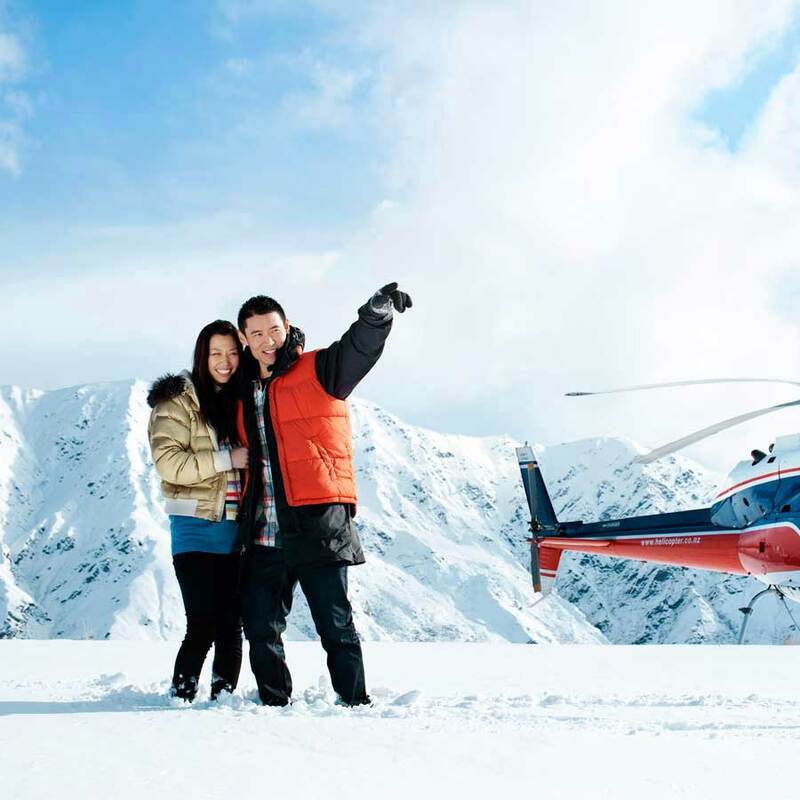 And for a truly special treat, why not enjoy a helicopter flight onto one of New Zealand’s famous glaciers? Your guide will help you discover the best activities on the South Island. 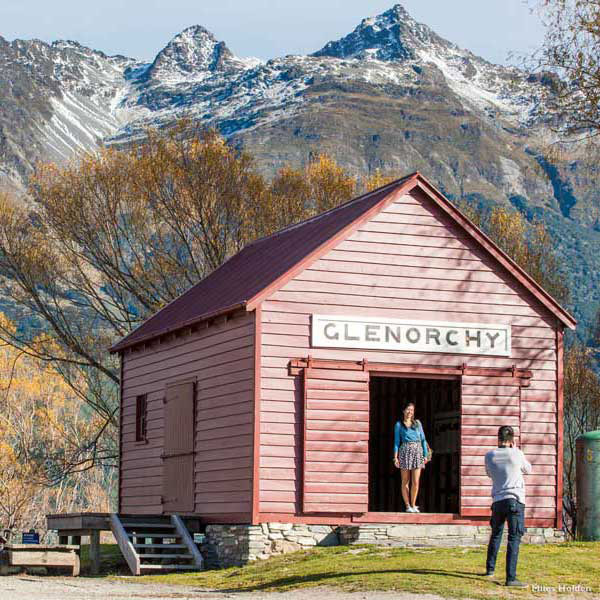 We can help distinguish the true gems (after all, it would take about a month to work your way through all the activities on offer in Queenstown!) and ensure your holiday is packed with excitement and beauty. We are proud to offer the very best customised South Island guided tours. New Zealand is our home and our passion, and it gives us no better pleasure than to see you fall in love with our country as well. We provide personalised, hands-on assistance throughout the planning process, and all work is done by our team based here in Wanaka, which means a very simple, straightforward process. You can also rest assured that there are no hidden fees involved. We are very up-front about what our guided tours don’t include (flights, travel insurance, and food), and we provide options and suggestions for arranging these independently, as well as options for adding domestic flights and certain meals into your South Island guided tour package. Although we have designed a number of example itineraries to help you start out, we have found that no two guided tours are ever the same. Your New Zealand experience will be carefully crafted to surpass every expectation. Whatever you want, we will make it happen. No detail is too small to consider! We can start with one of the existing itineraries and modify it to suit you, or design a fully customised adventure for a truly bespoke experience. If you are interested in an entirely unique itinerary, we will arrange a time to discuss your interests and ideas so we can be sure your holiday suits your group in every way. From your comfortable, well-located accommodation to the spacious vehicle you will be travelling in, no detail is overlooked in planning your holiday. Your guide will collect you from the airport as soon as you arrive, and you will be well looked after throughout your travels. Each itinerary is planned to minimise driving time and maximise fun time, and your guide is available 24/7 to attend to your every need. The South Island is famous for its rugged mountains, turquoise lakes, majestic fiords, and crystalline glaciers. From the beaches and wine country around Nelson to the wild splendour of Fiordland National Park, our South Island guided tours will help you experience it all! If you are travelling with younger children, you may wish to check out our South Island family guided tours. And if you are especially interested in Lord of the Rings destinations, our Mountains of Middle-Earth tour might just be the one for you. Your happiness is our priority – so let us know what we can do to make your vacation the best it can possibly be!